Let’s start with our chicken stock. 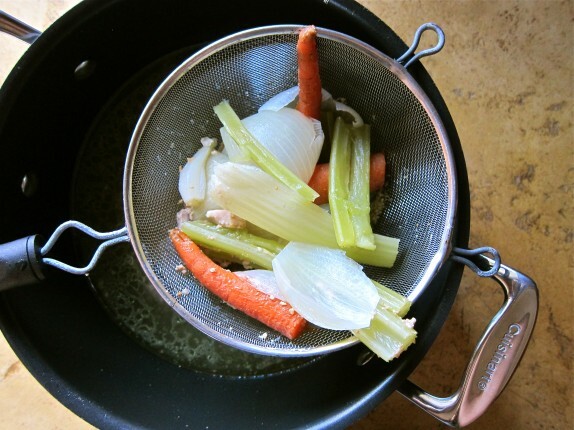 Making your own stock may sound a little daunting but trust me it’s super simple! 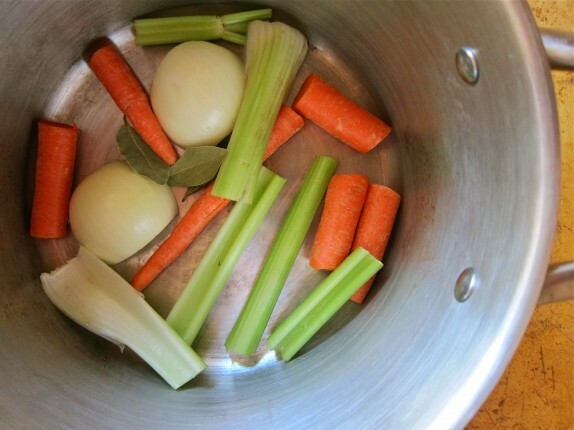 In a large soup pot throw in a couple carrots, one onion, two stalks of celery, some bay leaves and don’t worry about dicing everything up! Next place some cut up chicken pieces on top of your veggies. Could you use boneless, skinless chicken? No. 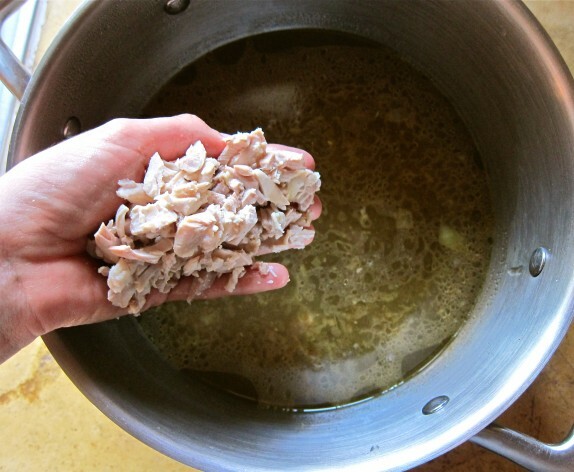 There is a lot of flavor in the bones and skin of the chicken that we’ll want in our stock but don’t worry we’ll throw that stuff away in a bit. 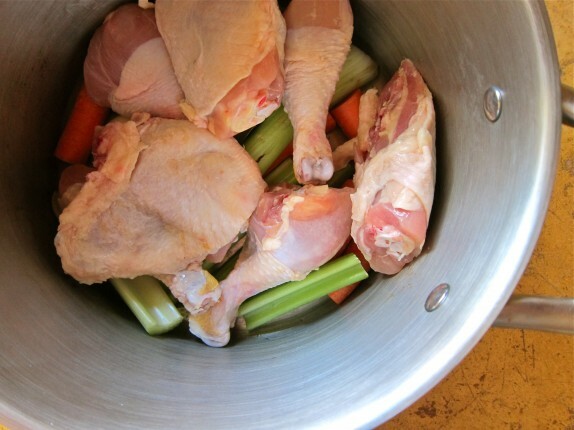 I used legs and thighs for this soup but if dark meat isn’t your thing go ahead and use breasts and wings! 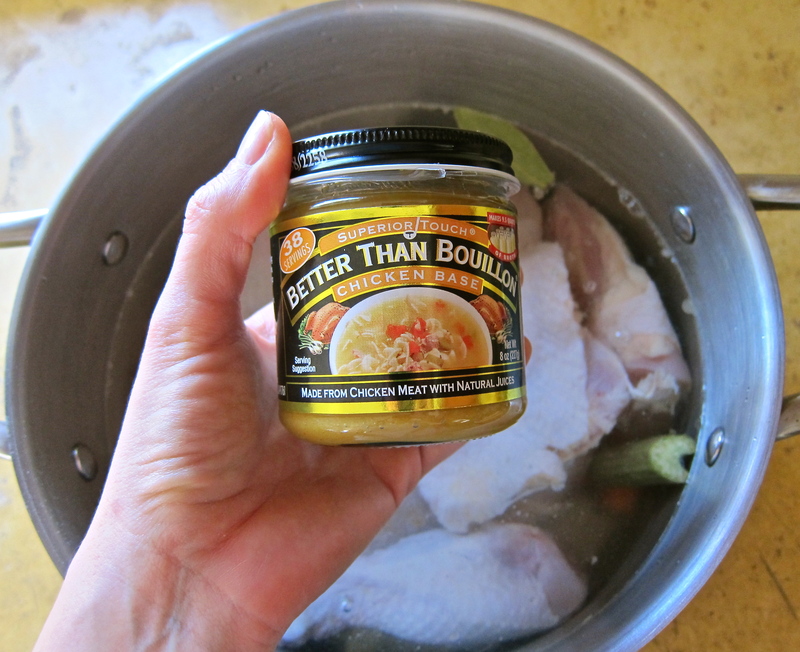 Cover your chicken and veggies with water and throw in a couple tablespoons of this stuff or a couple of regular ol’ chicken bouillon cubes. 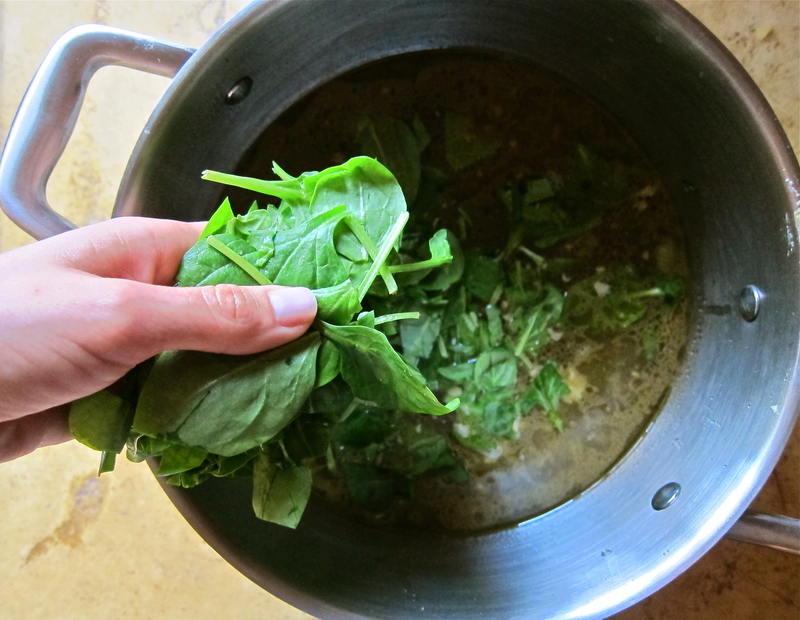 Bring this pot to a boil then let it simmer uncovered for an hour skimming off any foam. 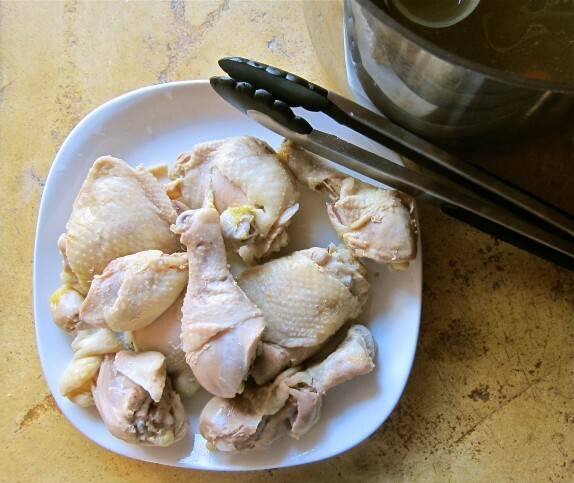 After an hour remove your chicken and once it’s cool enough to handle skin it, de-bone it and cut it into pieces. 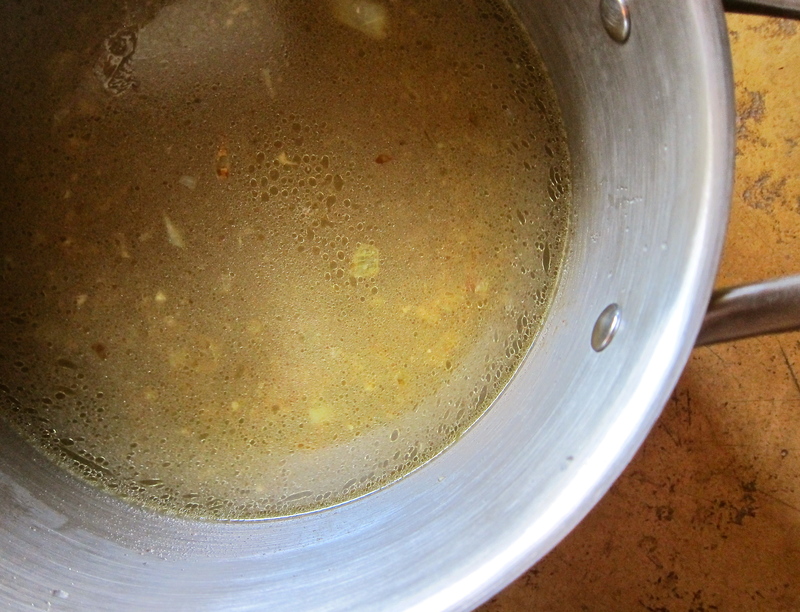 Next strain the broth into another pot. Go ahead throw away those veggies, all of their flavor is now in our stock! 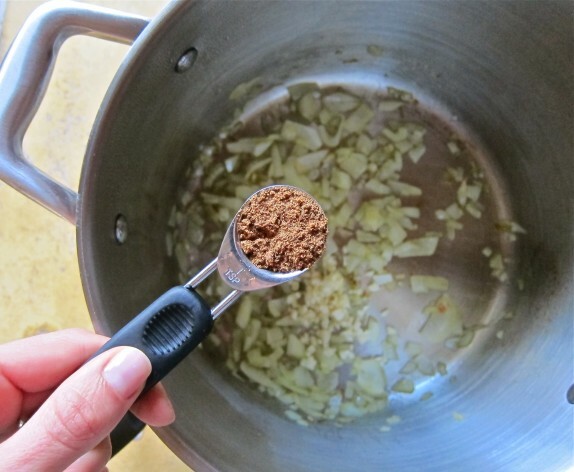 Remember the first pot you used? 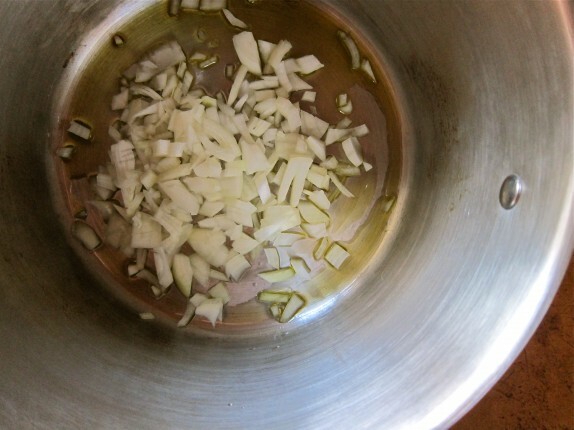 Wash it out, heat up some olive oil and saute 1 diced white onion in it. And a teaspoon of chinese five spice. What does chinese five spice taste like? Well it’s based on the Chinese philosophy of balancing the yin and yang in food. It’s a little sweet, salty, savory, spicy and smoky. Just try it, you’ll like it! When your garlic and spices become fragrant pour your broth back into the pot. 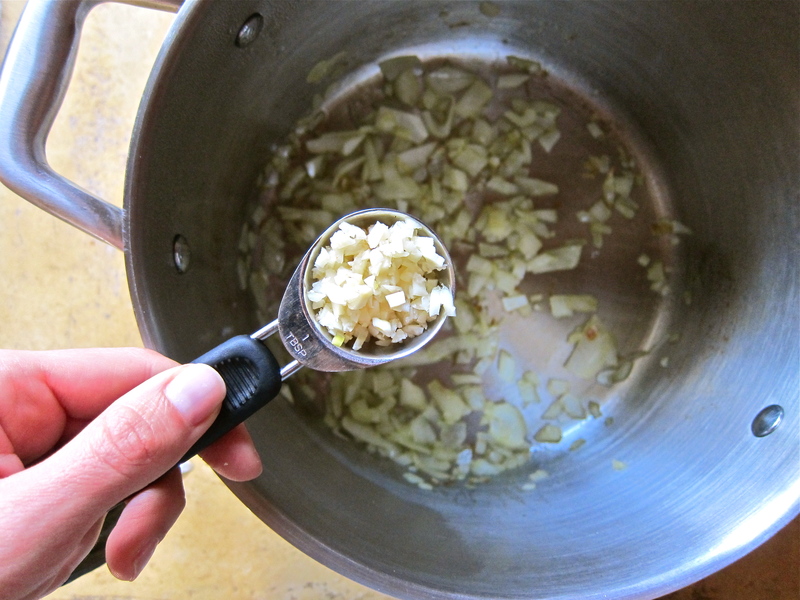 Taste it to make sure it’s seasoned enough, you might want to add a touch more salt. Look at that, homemade chicken stock! 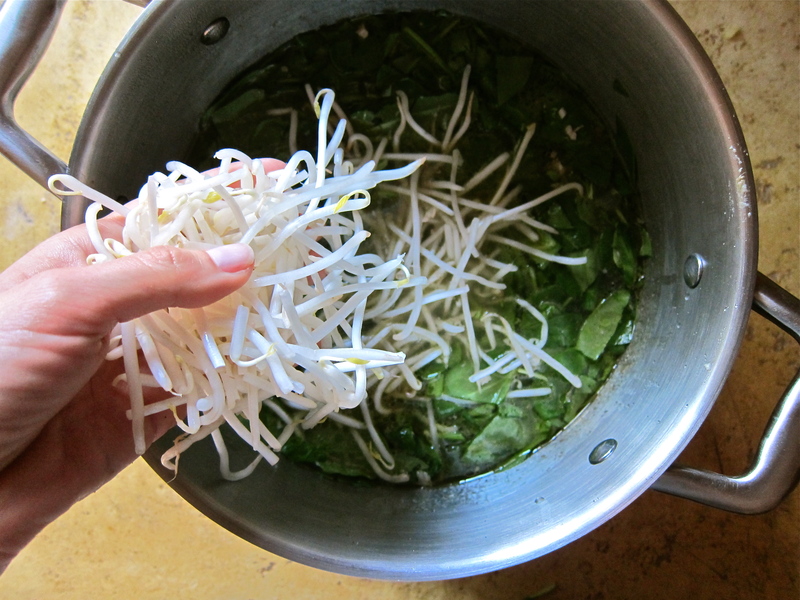 And some crunchy bean sprouts. Can’t forget the ramen! I used about four packages, but you might want to use a less. Whatever you do DO NOT, I repeat DO NOT put in that flavor packet! Top your soup with some green onions, a hard boiled egg and maybe a little soy sauce if you like! 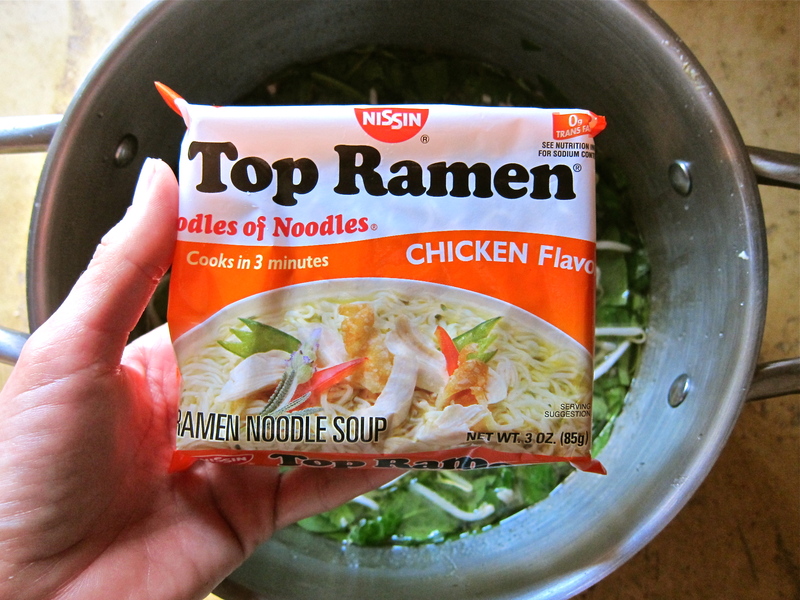 I love what amazing parents you are…yes, sometimes it is hard to go against the grain, but I think in the end it is so worth it…but about that Top Ramen….I will have to give this one a try for sure (minus that pesky little spice packet). I LOVED Top Ramen after long nights of drinking in college and sometimes I crave those long little curly noodles….we don’t have that stuff at our house now, although my kids have experienced it a time or two at Nana’s house. When I make chicken stock, I’ll typically use just the bones and any meat left on it (usually after having a roasted chicken), but I like your idea of adding a little chicken base to speed up the process and boost the flavor. Thank you Rachel! I hope we can see each other again soon! 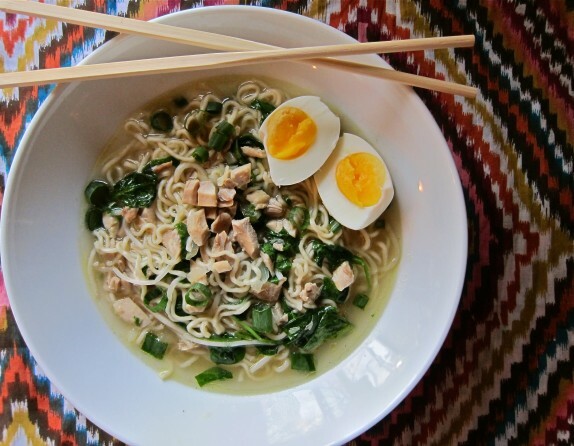 I love ramen and this looks incredible. I’m definitely going to forward this to Malisa, maybe she’ll make it for me!